Wouldn’t your inner child like to use a drone to get a bird’s eye view of your roof? 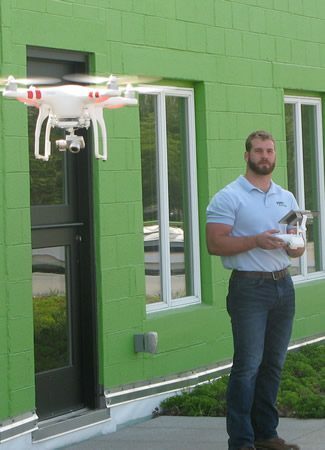 While flying a drone is fun, the use of drones in roofing is certainly not child’s play. The FAA requires that drones used for commercial purposes be registered and only flown by those that understand FAA guideline. GSM Roofing has several certified Remote Pilots that can provide a complete survey of your roof without ever leaving the ground. Using the drone, our Remote Pilots can survey even the most difficult to access roof sections. We can identify issues and provide a complete inspection report detailing necessary repairs. The drone allows us to complete a survey safely while saving both time and money for the owner. Do you have a roof that needs evaluated?